SERVPRO Industries was started in 1967 by Ted and Doris Isaacson as a painting business out of Sacramento, California. Having a background in cleaning and restoration, they decided to restructure the business into a franchiser of cleaning and restoration specialists. The first franchise was sold in 1969 and the company continued to grow, acquiring the Bristol-Meyers Domesticare Division in 1979. In 1988, the company relocated its' headquarters to Gallatin, TN and consisted of 647 franchises at the time. SERVPRO Industries now consists of over 1,700 franchises throughout the United States and Canada. 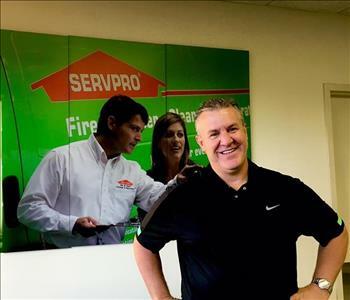 In 2005, SERVPRO of North Calhoun County was opened by Lance Sommerfeld, Aaron Popp and Fred Tremblay with a staff of about 6 employees. Since joining the communities of North Calhoun County, SERVPRO has provided restoration and mitigation services to business and home owners in Battle Creek and surrounding areas, helping the members of our community at their most desperate time of need. 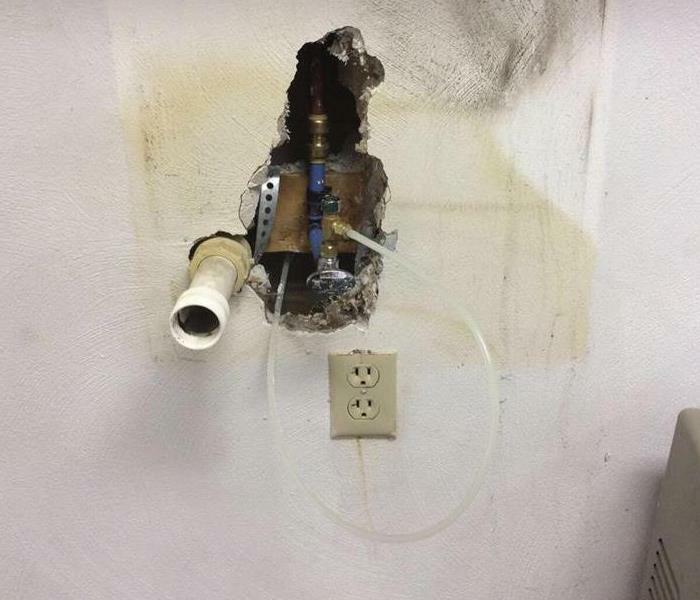 SERVPRO of North Calhoun County specializes in the cleanup and restoration of residential and commercial properties after suffering a loss from a fire, smoke or water damage, as well as many other services such as biohazard, crime scene, and vandalism cleaning, odor neutralization and document drying. We are committed to making your tragedy "Like it never happened!" North Calhoun County has been home to our leadership team and many of their families. 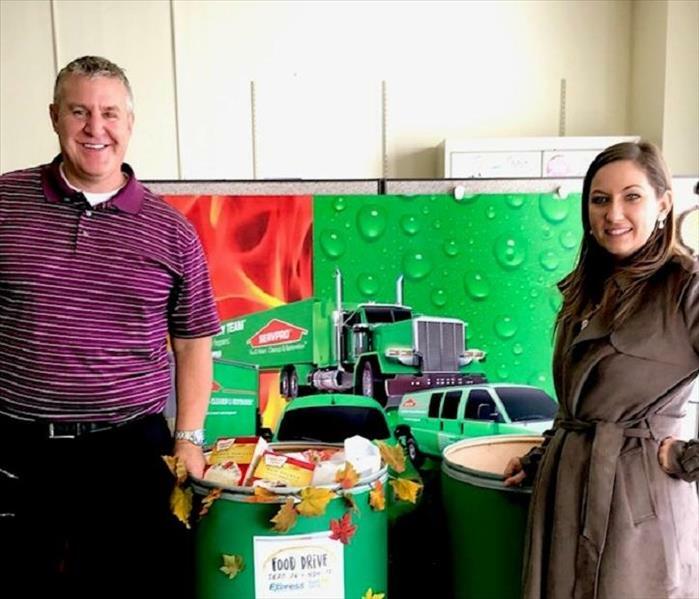 SERVPRO of North Calhoun County developed relationships with the citizens of Battle Creek and its surrounding areas and take pride in helping the people of these communities. We are invested in making our community a better place and ensuring we can provide the best service possible for our customer's needs. SERVPRO of North Calhoun County proudly partners with agencies throughout the community to help make a difference for the greater Battle Creek area residents, so they can restore their lives back to normal after a disaster has affected them and their loved ones. We work with Community Agencies to help the members of our community that are in a time of need as well, such as: American Red Cross, SAFE PLACE, Southwest Food Bank, Charitable Union and ARC of Calhoun County. Our SERVPRO professionals are highly trained and IICRC certified experts in the industry of cleaning, restoration and mitigation. They are trained to focus on saving contents and personal items in an effort to minimize the loss our customers have suffered. Our professionals go through a thorough training program with SERVPRO Corporate as well as IICRC-Industry certifications and continuing education courses, ensuring they will provide the most knowledgeable and effective restoration services there are to be offered. SERVPRO of North Calhoun County has a staff of approximately 20, that are happily ready to assist our customers and get their homes or businesses restored to a pre-loss condition. SERVPRO of North Calhoun County is committed to honoring the needs of our customers and helping them get their tragic emergency resolved so they can get back to living their lives "Like it never even happened!" We have one of the fastest response times, our experienced team of experts are experienced, trained, caring and understanding to not only help restore or salvage your loss but have the compassion to help our customers through one of the hardest events they will encounter. If you would like to schedule services for your home or business, please call us today at (269) 963-3033. For stress free claims process, SERVPRO works with your insurance company to help manage the insurance process and paperwork.